An experienced teacher would never walk into the classroom without a well-developed lesson plan. This document spells out the details, timing, and methods that will be used to successfully teach the day’s lesson, and creating the plan often takes twice or three times as long as actually teaching the class! As a coach, you are also a teacher. Your practice plan is your lesson plan, and it needs to be just as well thought out. Where and how do you start to develop a plan that will allow you to arrive organized and prepared to make the most of the day? The summer and off-season are great times to rework your approach to practice planning. 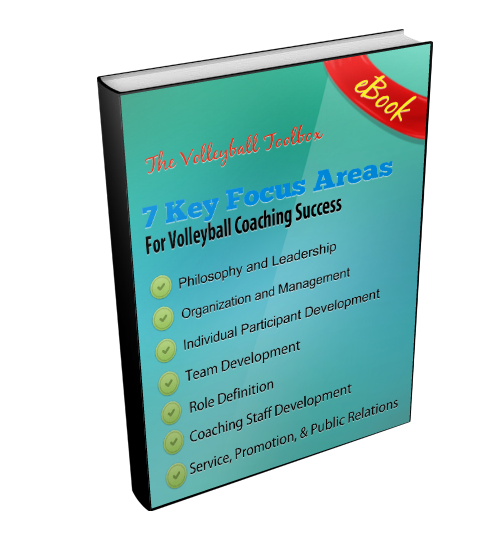 The first step is to clearly define your coaching philosophy. This means establishing what offenses, defenses, and special situations are important to you and which ones you will use next season. You can’t create practice plans without first knowing what systems you are going to use. Once you have done this, prepare a list of all the skills that are needed for each offensive and defensive package you will use. While each sport has universal skills, particular offenses and defenses may use specific skills or adaptations. Create a list of exactly what you need to teach. Once you know what your players need to learn, establish a timeframe and schedule for introducing it. Your state association dictates the dates when you can start practicing and when the first games can be played. Using these dates, determine how many practice sessions you will have before your first scheduled game. Considering also that you may be limited by your district to two hours for each practice session, you can determine exactly how much total time you have to install your systems. It’s important to realize that you may not get everything in by the first game. Therefore, you may have to make decisions as to what is absolutely essential in order to play that game and set priorities accordingly for your early-season practices. With your overall roadmap in place, it is time to start creating individual, daily practice plans. It helps to break the session down into distinct parts and think through each, starting with the warm up. A good warm-up allows athletes to break a sweat and gets them physically ready to perform the skills and movements that are part of the sport. It’s also helpful if the warm-up drills replicate skills they will actually use in a game. A second specific segment of your practice plan should involve teaching new skills and installing new offensive and defensive sets. Try to do this type of teaching early in the practice session, while athletes are still physically and mentally fresh. Consider using the whole-part-whole method of teaching offensive or defensive systems. With this approach, you first demonstrate the offense, and then break it down and teach the individuals skills and movements involved. Lastly, you bring everything back together and practice executing the offense. A third part of practice is drilling and refining existing skills. All skills need repetition, assuming that they are performed correctly, in order for athletes to perfect them. Lastly, don’t forget to schedule water breaks strategically throughout the practice session. For outdoor sports, you want to consider the weather conditions for the frequency and spacing of these water breaks. You have a lot to teach, and you want to use the time you have in practice to its fullest. A thorough plan can help you achieve this. Be sure to organize drills so that athletes avoid standing around and waiting for their turn. It is important to keep everyone active and involved. Consider utilizing your assistants to run additional groups, which also has the advantage of providing more repetitions. When you write your practice plan, be sure to include an established time frame for each activity—and stick to it. If a drill isn’t working well, avoid the temptation to extend it in the hopes that extra time will bring success. Learning a new skill takes repetition over several days, and it will take some athletes longer than others. End each drill at its planned time and move on to the next activity. Now that you have drafted a great practice plan, it’s time to share it. To get everyone on the same page, provide your assistants and head manager copies of each daily plan. Everyone should know what their responsibilities are and what is coming next. Your head manager, for example, should help you follow the plan and remind you of how many minutes remain in any drill or segment of practice. Whether you post and share the practice plan with players will depend upon your individual philosophy. Once you have used a practice plan, keep it on file for reference. Year to year, these documents will help you gauge your pace and provide reminders of what you have done in the past. Also, if there is ever a question relating to an injury or similar problem, you will be able to document what skills you covered in practice and when. Effective practice planning requires looking at both the big picture and the smallest details. The more time and effort you invest in preparing for each day’s workout, the more success you and your athletes will experience.